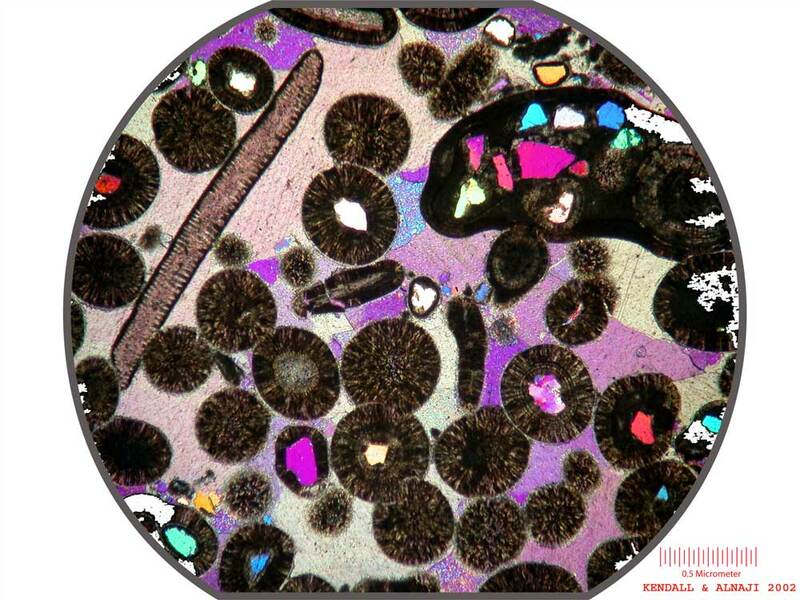 Striking high energy ooid grains within spar cement matrix. 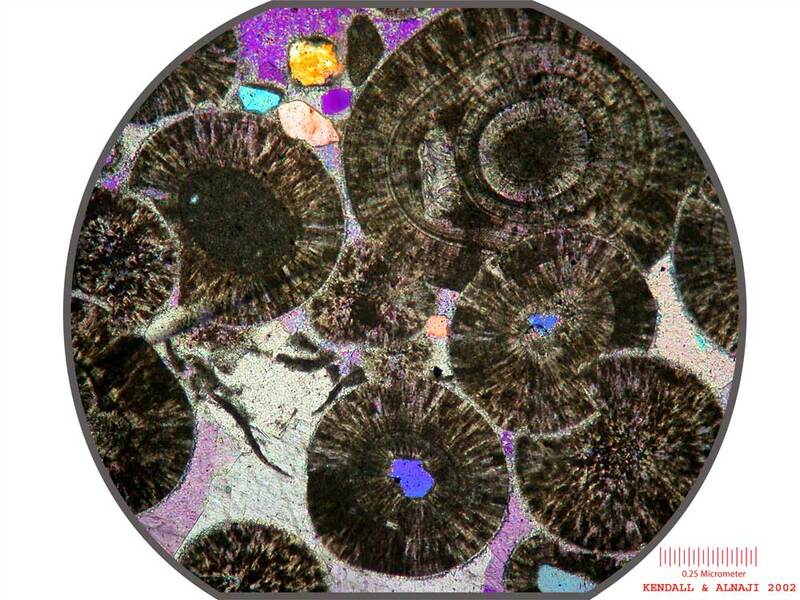 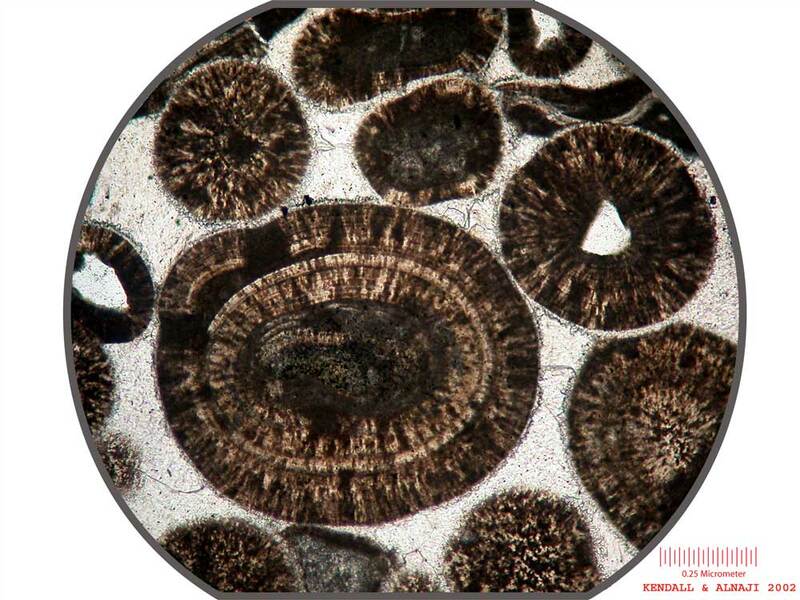 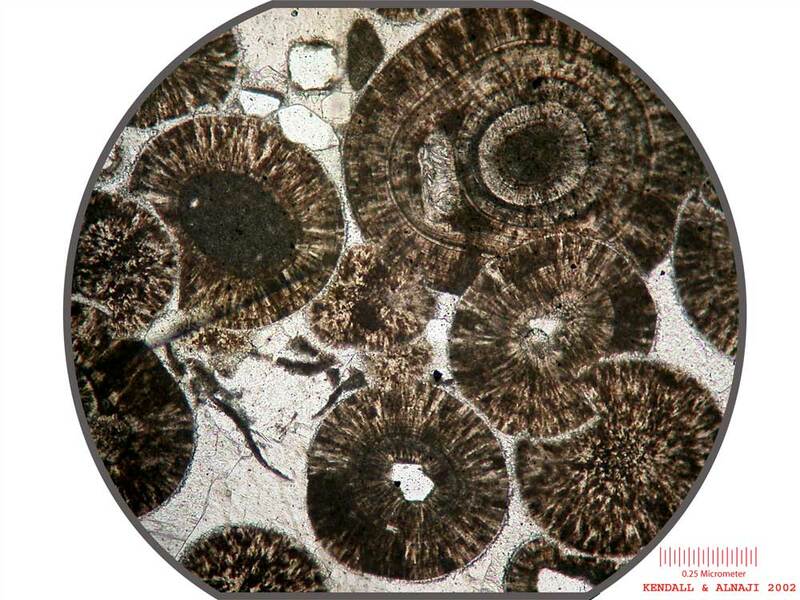 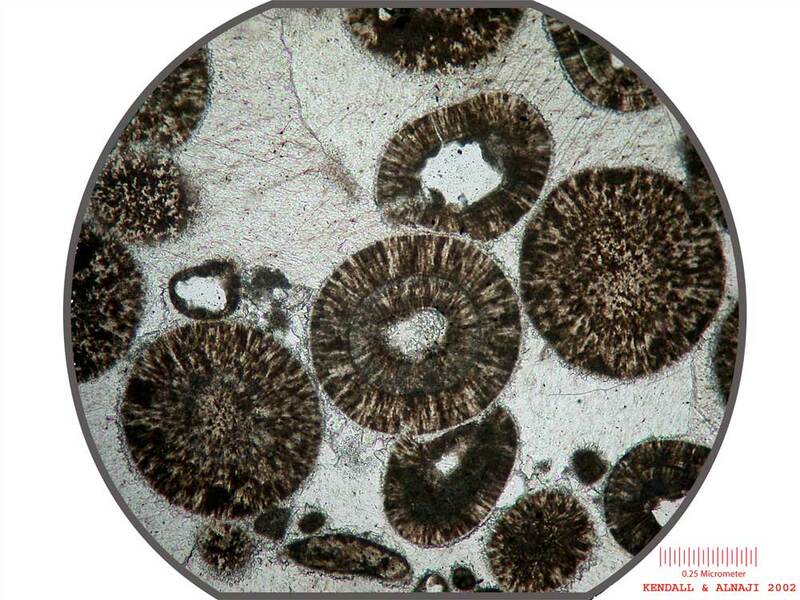 Radial calcitic ooid cortex is concentricly layered about nucleae of both quartz and micritic pelloids. 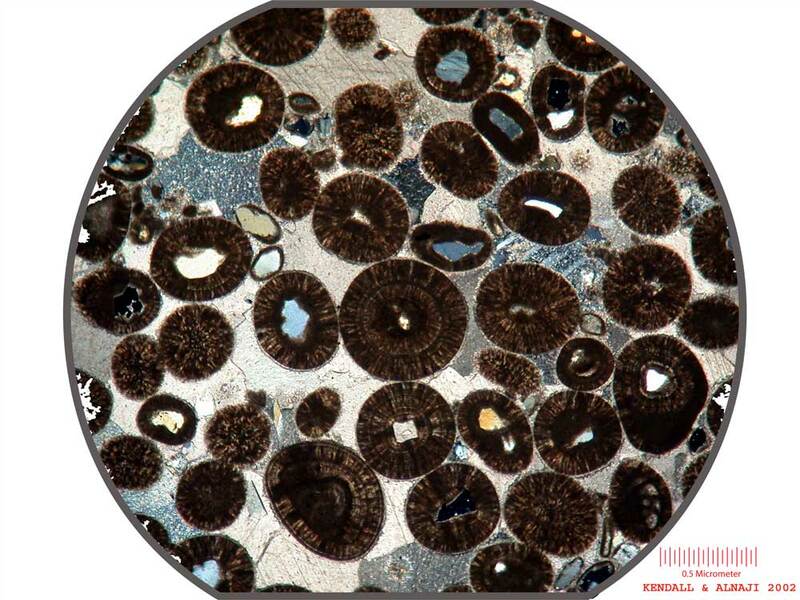 Darkened spots within ooid layers and micrite envelopes are cyanobacteria colonies that caused local micritization when high energy grains came to rest in this setting. 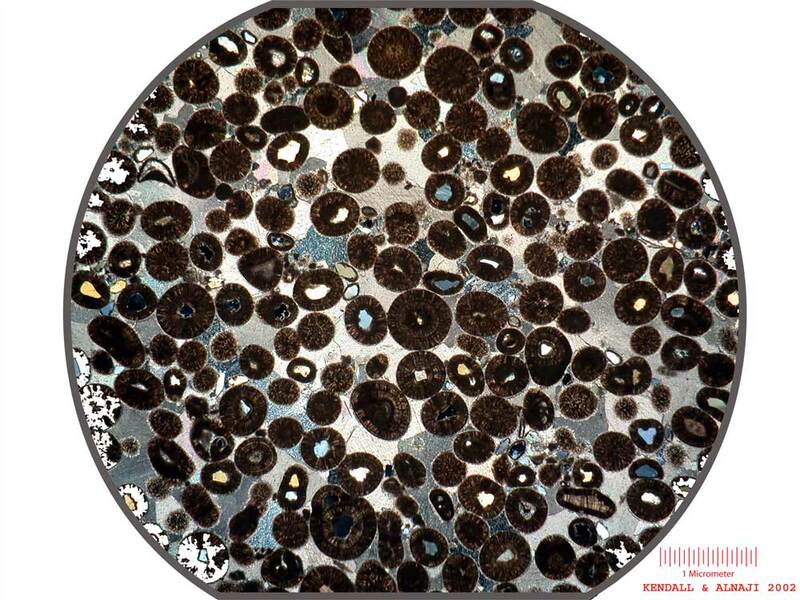 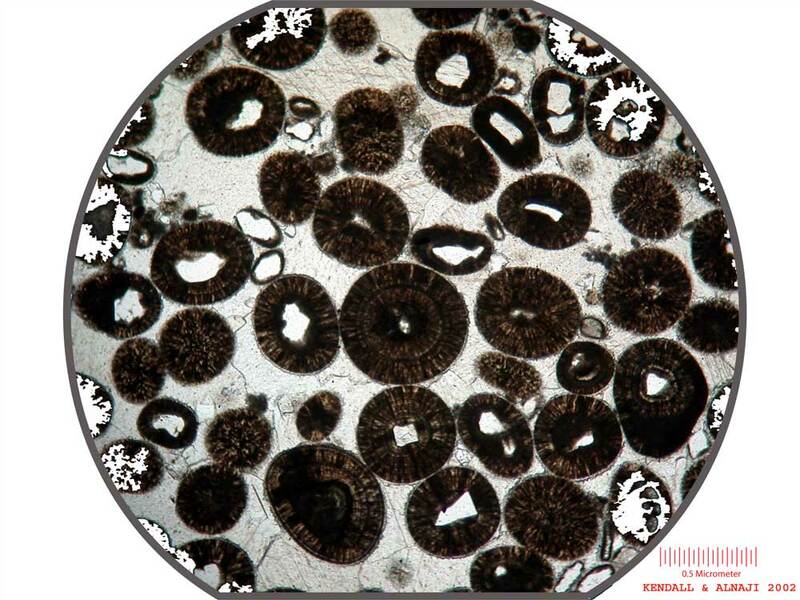 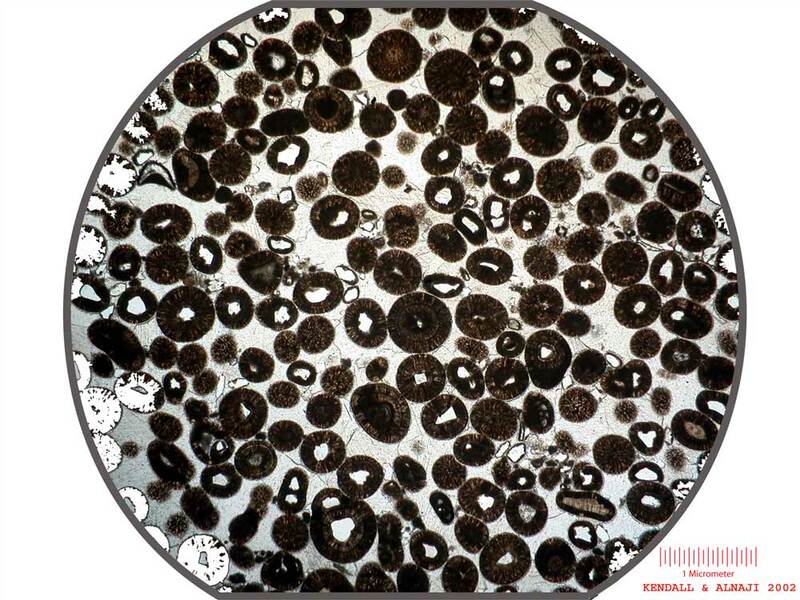 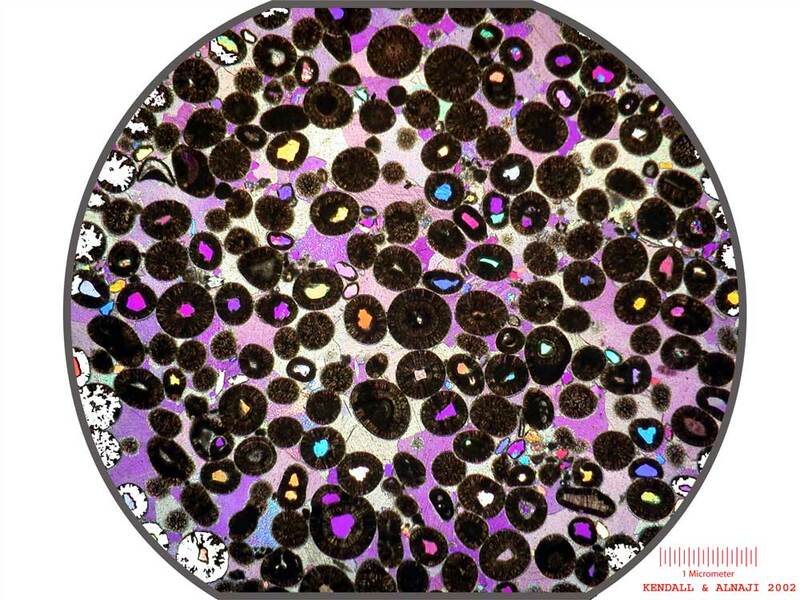 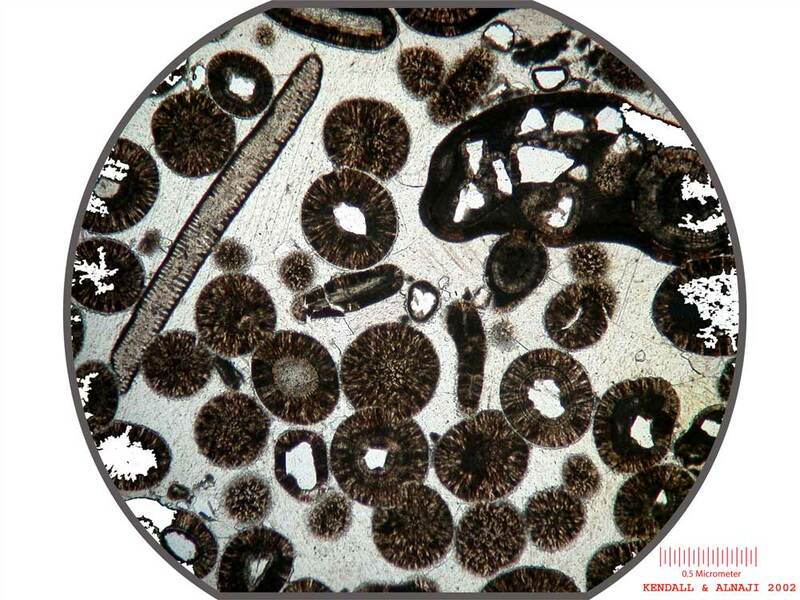 In some parts of thin section common points of contact between ooids show some interpenetration and disolution at ooid grain boundaries.